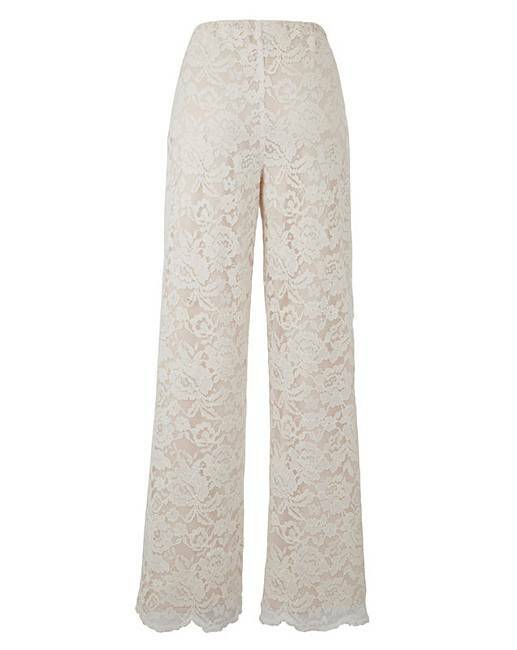 Joanna Hope Lace Wide Leg Trousers 30in is rated 4.3 out of 5 by 66. Rated 5 out of 5 by Riz from Nice fitting I ordered these for special ocaasion very pleased with the material and colour. Rated 5 out of 5 by Sue8683 from Ideal for holiday! 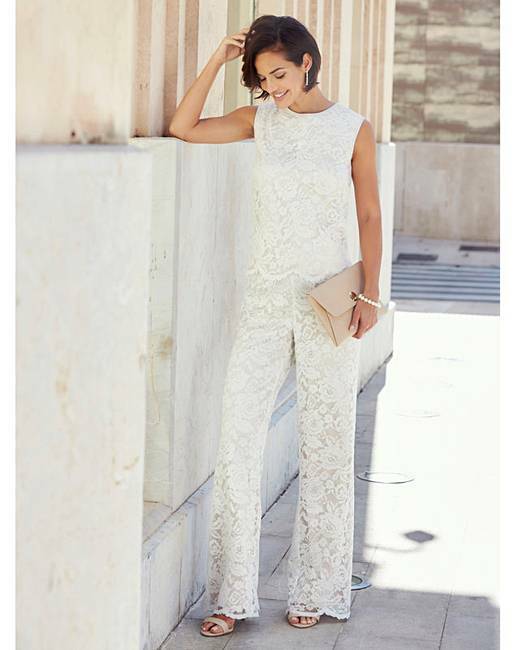 Delighted with these trousers, ideal for evening wear especially when on holiday! Fit nice and reasonably priced. Rated 4 out of 5 by Liz from Lovely trousers These are lovely, but a bit long. I will shorten them, but that isn't straightforward there hem is scalloped lace. Great for holidays, and special occasions. 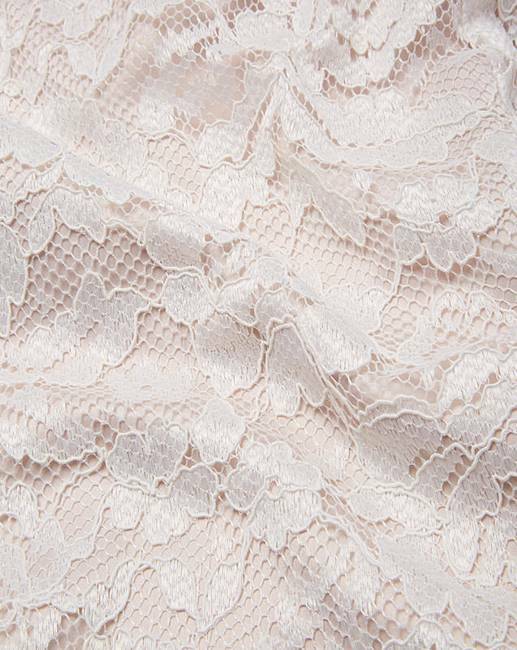 And wold be great for a more mature bride with lace jacket. 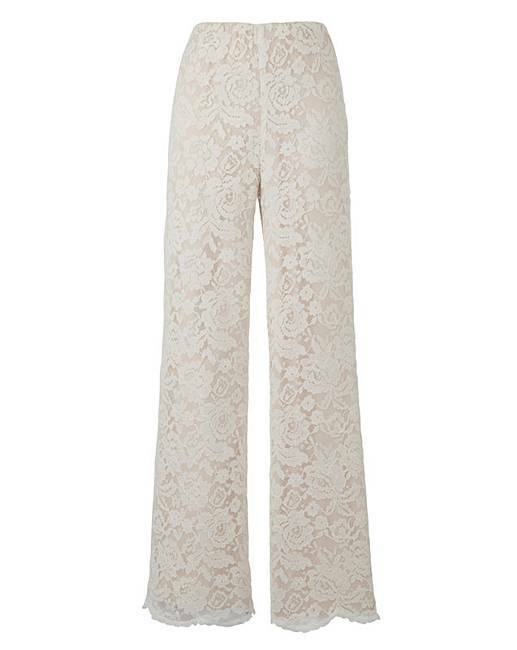 Rated 5 out of 5 by Jinty from Lace trousers These trousers are beautiful on. Well made and really comfortable. Got larger size to ensure longer fit as tall. Rated 5 out of 5 by The Vicar from Love it Excellent fabric quality, excellent fit, the longer length is very welcome as makes legs look slimmer, bought this in oyster (missed out on the black) ive come back to buy the navy before they run out in size 22. WARNING they do come up big so order one size smaller than normal.